It is misleadingly myopic to spin the sale of the Anchorage Daily News to Alaska Dispatch as a triumph of digital over print or even much of a landmark on the road to a new media ecosystem. Yes, Alaska Dispatch is a relatively new, digital-only start-up. Yes, ADN is a venerable traditional newspaper. But after that, this story unfolds very differently than the superficial reports being widely circulated now. As far as anybody knows, Alaska Dispatch has never made any money. ADN on the other hand is a profitable operation, and has been for more than 20 years that I know of. More significantly, in this context, the newspaper’s web operation crushes the online news operation. According to Alexa, the only measurement to which I have ready access, ADN ranks 9,268 among U.S. websites while Alaska Dispatch comes in at 23,833. ADN registers twice as many page views per visitor, on average, and visitors stay longer by a 3-2 margin. These numbers make Dispatch owner Alice Rogoff look pretty smart for buying ADN, but they sure don’t tell any story about digital triumphing over traditional news. Let me be transparent here: I have no inside knowledge about the finances, plans or intentions of anybody in this deal. I learned of the sale the same day as everybody else, and my analysis (if this deserves to be called that) is based on public information and my long experience with the paper, McClatchy Co. and Alaska. I am weighing in here not to cause problems or be contentious; on the contrary, I devoutly want to see this turn out well. Partly for that reason, I want to be sure the public’s understanding of the new order is as accurate as possible, and so far it hasn’t been. I watched the Anchorage Times and its friends spread a false narrative about that paper’s closing—that McClatchy purchased the paper and shut it down—and I know that was hurtful and hard to correct. That shouldn’t happen here. So why would McClatchy decide to sell? I don’t know, and as I’ve said, I don’t think it should have, but the rationale is almost surely based on corporate financial realities (translation: Knight Ridder debt) rather than any local concerns. By all appearances Rogoff paid handsomely for the paper: $34 million. The Boston Globe, remember, sold for $70 million in a media market ranked in the nation’s top ten. Anchorage by one ranking is 173rd, sandwiched behind South Bend, IN but ahead of New Bedford, MA. This may simply have been an offer that a public company focused on its finances felt it couldn’t reasonably refuse. Assuming that this deal closes, as scheduled, in something less than a month, all this background will take a back seat to the fact that Alaska now has a vastly different new media leader. If the strengths and assets of each player can be successfully combined the new operation will be a powerhouse indeed. Successful integration is not a trivial task, however. I’m sure it will be challenging on operations, sales and tech departments. I know for a fact it will be difficult in the newsrooms. Good journalists are driven mainly by values and all will be anxiously searching for signals about what the values of the new venture will be. They also tend to be competitive, idiosyncratic and not infrequently egotistical. These two newsrooms have battled one another for some time, working hard to beat the opposition on stories, bad-mouthing their successes, saying things they may now regret. But the animosities probably are no greater than those that animated newsrooms at the Daily News and Anchorage Times years ago. At one point in 1991 I tired of the back-and-forth then going on about coverage of the oil industry and wrote a memo entitled “Pig rasslin’” invoking the advice of columnist Mike Doogan: “Never wrestle with a pig. You get all muddy and the pig just has a good time. These two staffs need to adopt that spirit today, and the first big test of the new leadership is to see that they do. Failure might not prove fatal, but it would surely squander energy and opportunity that ought to be spent helping illuminate Alaska’s many untold stories. Also posted at my Tumblr, which is kinder to comments. The news that McClatchy is selling the Anchorage Daily News to Alice Rogoff’s Alaska Dispatch cannot have arrived with more impact on anybody that it did for me. I spent 45 years in Alaska, 30 years at McClatchy and 28 years at the Daily News. Altogether that’s 103 years, and I feel every one of them this morning. My affection for both ADN and McClatchy remains deep, and it pains me that they are no longer allied. When the Daily News signed a joint operating agreement with the late Anchorage Times in 1974 it felt like the end of the world. But I’m a big boy myself now and I know where babies come from, so this shock—though still intense—is different. That’s partly absence of naivety and partly due to a difference in the players. I saw any dealings with Robert Atwood & Co, as dancing with the devil. (Little did I know how much more intensely I’d feel that when the Times sold to Bill Allen). Now the cast is wholly different; Rogoff and the crew at the Dispatch generally represent a much more honorable and affirmative vision for journalism and Alaska. I will hope for the best and do whatever I can to help them. There are many intriguing ways to slice this news. One looks mainly at personalities—a high-profile and sometimes volatile perspective but probably, in the end, not the most important. There’s a superficial business story about the feisty online startup buying an established mainstream leader, although interestingly the newspaper here makes money and the online service (so far as I know) doesn’t. A more substantive angle might involve questioning why rich individuals are deciding to get involved in mainstream news (see also Jeff Bezos, Warren Buffett, Pierre Omidyar). The most meaningful benchmark is to look at values and intentions. Bob Atwood’s values were historically transparent; Bill Allen’s were videotaped by the FBI in a sleazy Juneau hotel suite. McClatchy, love it or hate it, is a 157-year old media company with a clear track record. I’ve been a news guy, and nothing else, my whole adult life. Rogoff and the Dispatch, despite a vigorous online presence since about 2009, are more opaque to most of us. The only reasonable response, it seems to me, is to watch carefully and judge them on their performance. They will find that they operate under a far more powerful spotlight running the state’s largest news organization than they did before. I have deep and abiding respect for Pat Dougherty and staffers who have labored mightily through the financial bloodbath of the past five years. Where I once managed a newsroom of more than 100 people today’s ADN is produced by considerably less than half that many—and we didn’t even have to produce and serve a website in my day. I don’t know many staffers personally any more (I left in 1995) but people like David Hulen, Rich Mauer, Julia O’Malley and many others have sustained a deserved reputation for professionalism and high standards that any new organization must stretch to reach. They did not fail McClatchy or the Daily News. More people read their work today than saw the paper during my heyday, which is a portrait of growth, not decay. Indeed, despite the internet, the crumbling of its traditional business model and years of global recession, ADN remains a profitable business. Corporate revenues and debt financing are a more complex equation, but those are hardly newsroom failings. Perhaps they’ll be getting much needed assistance—more staffers, better technology, an invigorated business model. Please, Ms. Rogoff, make it so. 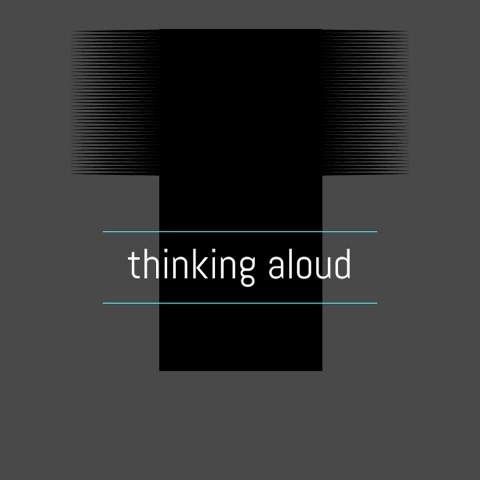 I'm always thinking—about politics, public affairs, music and other issues—and when I think aloud I collect it here. 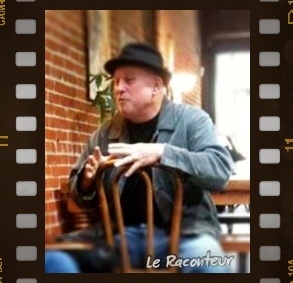 Photo illustration Le Raconteur courtesy of Ann Acton.